Whenever you recharge your mobile, DTH or Data Card online what affects your preference for a certain website. There can be many factors like no additional convenience charge, free coupons, faster processing, easy to use platform, better payment system etc. I wanted to review two online recharge websites from quite some time, one of them is Paytm. The other one, I will be reviewing soon. 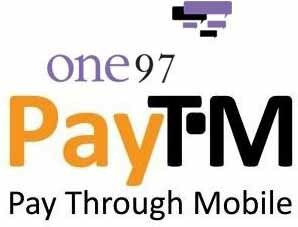 Paytm is one of the newest entrants in Online recharge space, owned One97 communications which is a provider of telecommunications value added services. Paytm offers its users option to recharge Mobiles (top ups and special recharges), DTH and Data cards. The website layout is pretty neat and allows its users to recharge in just 3 steps. Once the user enter the details of recharge required, he/she is taken to another page to choose payment option. For payment a user can choose between Net Banking, Debit Card, Credit Card and American Express Card. Once the option is selected user is taken to the payment page, he/she needs to fill in the necessary details and Done! Paytm also offers free discount coupons worth Rs. 2000 on every recharge, but I don’t find any coupon which I can use apart from the Domino’s Pizza Discount Coupon. For discount coupons you do not need to pay anything extra, as discounts codes are sent via email after every recharge. Apart from online mobile recharge on Paytm, you can also dial 09004790047 to recharge your mobile. Paytm is also working on Applications for various mobile platforms to offer recharge via apps. Paytm is a good option if you want a quick and hassle free recharge, though I expect Paytm to offer it’s users better discount deals.